Dr Aminul received his B.Sc and M.Sc from the University of Rajshahi, Bangladesh. Later he completed his Post Graduate Diploma in Exploration Geophysics from ITC, Netherlands (TU Delft Campus). He also received M.Sc in Petroleum Geoscience from the Norwegian University of science and Technology (NTNU). He received PhD in Reservoir Characterization from the University of Tsukuba, Japan. He has 8 years industry and 18 years teaching experience. He has diverse academic background which enables him to teach and carry out research in wide range of topics relates to Geology, Geophysics and Petroleum Geosciences. He has substantial understanding of cutting edge technology concerning petroleum exploration, development. His other domain of interest includes Hydrogeology and Structural Geology . He has been serving as a Senior Assistant Professor of Geological Sciences Program, Faculty of Science, Universiti Brunei Darussalam since July 2011. 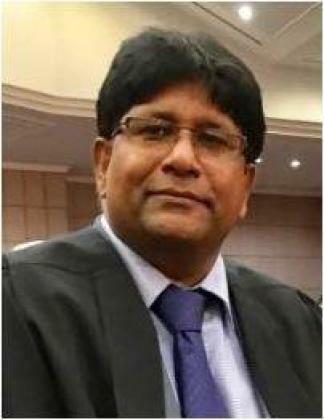 Prior to joining Universiti Brunei Darussalam he taught at the University of Malaya and University of Rajshahi where he hold position of Visiting Senior Lecture and Associate Professor respectively. He published 60+ journal articles in local and international journals. SP Dong, MR Shalaby, MA Islam., 2018. Integrated Reservoir Characterization Study of the McKee Formation, Onshore Taranaki Basin, New Zealand. SM Talha Qadri, MA Islam, MR Shalaby, AKM Easanul Haque., 2017. Seismic Interpretation and Structural Modeling of Kupe Field, Taranaki Basin, New Zealand. Afif, A., Ming, L. C., Eriksson, S., Petra, M. I., Islam, M. A., Rahman, S. M. H., and Azad, A. K., Radenahmad, N., 2016. Structural study and proton conductivity in BaCe0.7Z0.25-xYxZn0.05O3 (x=0.05, 0.1, 0.15, 0.2 & 0.25). Journal of Hydrogen Energy. Farhaduzzaman, M., Wan Hasiah, A. & Islam, M. A., 2015c. Petroleum Source Rock Properties of the Neogene Bhuban Shales, Bengal Basin, Bangladesh. Sains Malaysiana, v. 44(4), pp. 571-579. Islam, A., Islam, M. A., Haque, M. E. & Jahan, K., 2014. Interpretation of depositional environment of Miocence sequence using electrofacies analysis in the well Bakhrabad#09, Bengal Basin. International Journal of Earth Sciences and Engineering, v. 7 (1), pp. 230-238. Farhaduzzaman, M., Wan Hasiah, A., Islam, M. A. & Pearson, M. J., 2013. Organic facies variations and hydrocarbon generation potential of the Permian coals and related sediments, Barapukuria and Dighipara Basins, NW Bangladesh. Journal of Petroleum Geology, v.36 (2), pp. 117-138. Farhaduzzaman, M., Wan Hasiah, A., Islam, M. A. & Pearson, M.J., 2012c. Source rock potential of the organic-rich shales in the Tertiary Bhuban and Boka Bil Formations, Bengal Basin, Bangladesh. Journal of Petroleum Geology, v. 35(4), pp. 357-376. Farhaduzzaman, M., Wan Hasiah, A. & Islam, M. A., 2012b. Depositional environment and hydrocarbon source potential of the Permian Gondwana coals from the Barapukuria Basin, Northwest Bangladesh. International Journal of Coal Geology, v. 90-91, pp.162-179. Islam, M. A., 2010. Petrophysical Evaluation of Subsurface Reservoir Sandstones of Bengal Basin, Bangladesh. Journal of the Geological Society of India, v. 76, pp. 621-631. Islam, M. A., 2009. Diagenesis and Reservoir Quality of Bhuban sandstones (Neogene),Titas Gas Field, Bengal Basin, Bangladesh. Journal of Asian Earth Sciences, v. 35, pp. 89 -100.